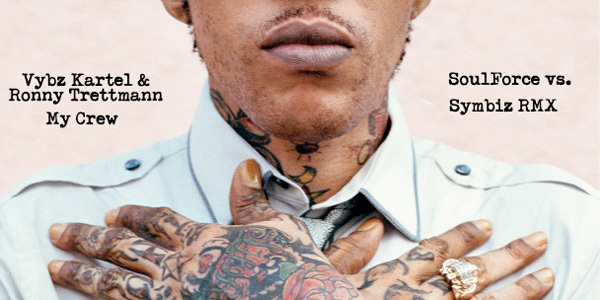 HOME > Audio > Vybz Kartel feat. Ronny Trettmann »My Crew« RMX. Vybz Kartel feat. Ronny Trettmann »My Crew« RMX. Soul Force have teamed up with Symbiz to create a dancehall-meets-dubstep remix of Vybz Kartel’s Kingston Story hit tune »My Crew« (Mixpak Records). It features additional vocals from German dancehall director Ronny Trettmann who will drop his debut album »Tanz auf dem Vulkan« on May 10.